Next up, make sure that you are properly geared for whatever raids you are attempting to go on. 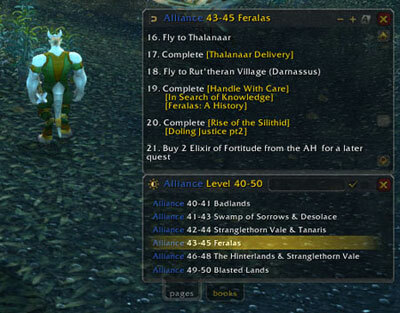 There are hundreds of encounters in World of Warcraft and many of them have specific needs for your gear. Your class will also have a profound impact on what you wear. Naxxramas for instance on 25 man mode might require a small bit of frost resistance gear for players with low natural resistances or low defense numbers. Make sure you are properly geared to keep from wiping your entire raid group around you. Your talent spec is a vital part of who you are and will determine when you get chosen for a raid and how you are integrated into that raid. If you want to effectively play a role in a raiding group, you need to effectively choose talents that will help you excel as a tank, healer, or DPS accordingly. 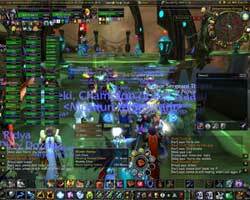 Check to see what your guild needs more of and then cater your build to those needs. If you are a hybrid class, you should consider having a dual spec that allows you to switch between two high demand roles. For example, if you are a Death Knight, you may want to have a Blood and Frost Spec so that you can switch between DPS and Tanking if you are ever needed to tank in this role. At the end of the day, being an elite raider is about practice and teamwork. You’ll never make it happen on your own, so find a good group of players you can count on and work with them intensely to build up your reputation and your skill level. Only then (and several thousand wipes later), can you start to call yourself truly elite.